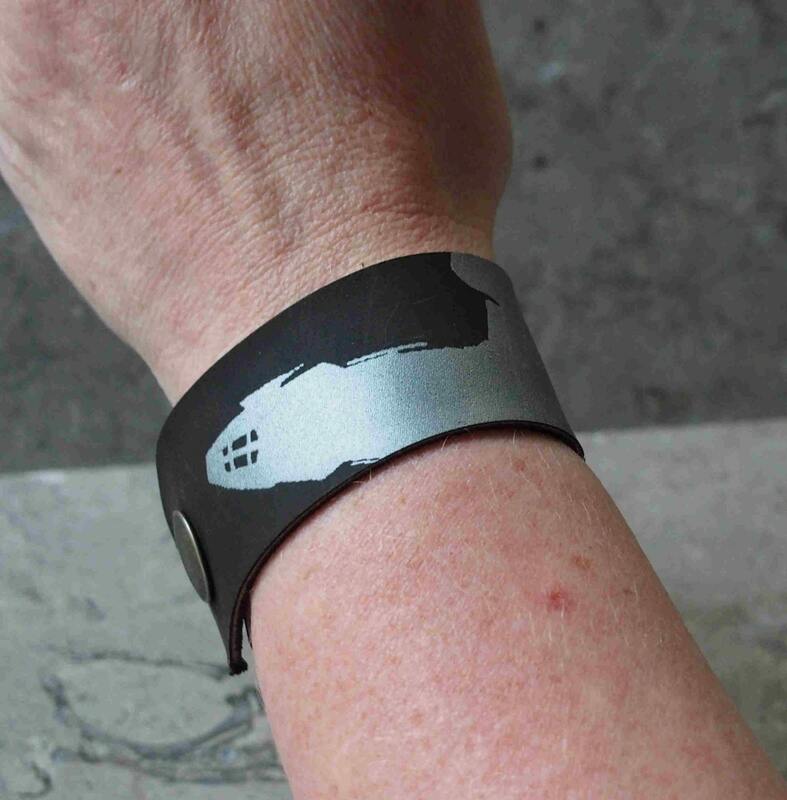 Flying across your wrist is a version of Serenity, so you can take the sky with you everywhere. 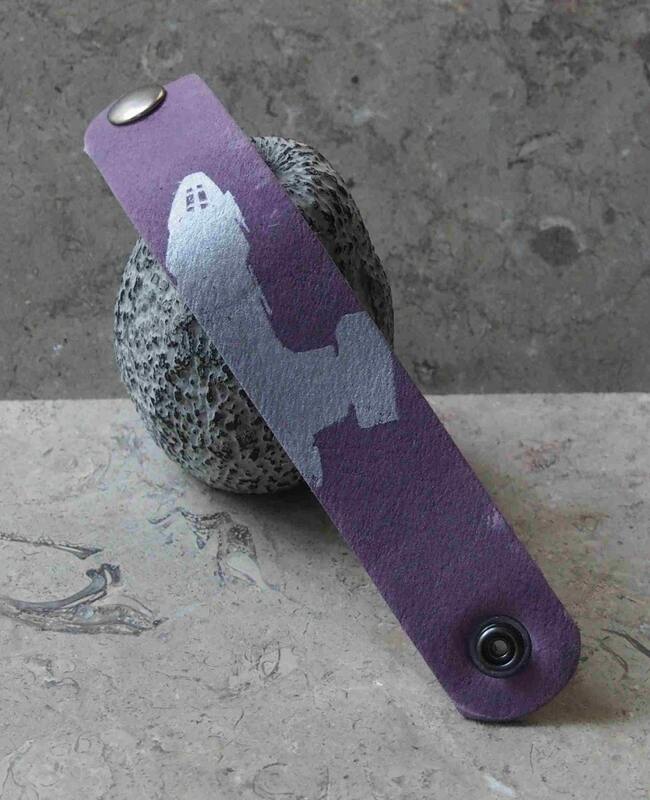 Firefly fans of any age or gender can enjoy wearing the soft leather wrist strap that I hand cut and hand silk screen. The entire image is too large for a single strap, but I found applying the ship along at an angle provided a more abstract and fun look. 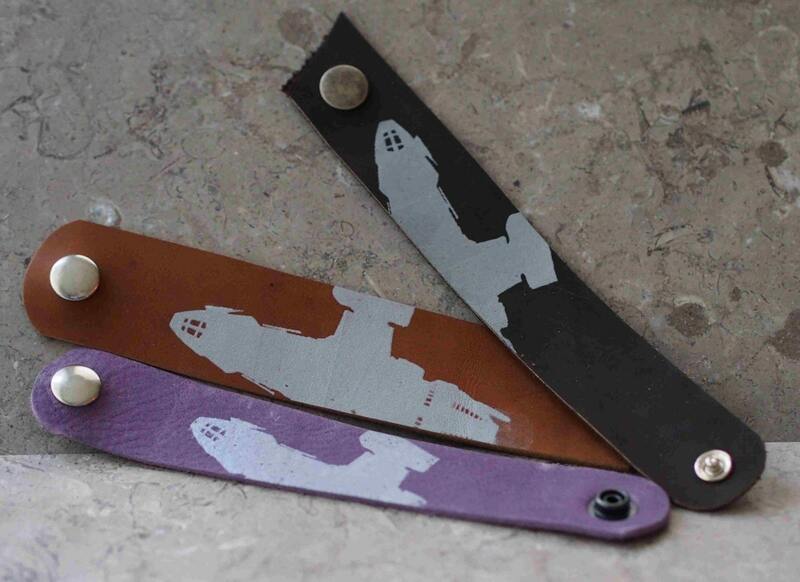 The strap width will be 1 1/4" as shown on the dark brown and light purple, up to 1 1/2" as on the brown leather. Many leather colors are available, and please let me know your preference in notes to seller: a few are shown in third photo include dark brown, brown, and light purple, but also black, grey, rust-brown are usually ready. All are shown with silver ink, but I have copper, gold, or black or other colors, so please inquire if you have a specific choice, else I'll choose what looks best on the your leather choice. I only use leathers that are very soft and supple and are comfortable against your skin. The snap I'll choose based on leather or ink color, but if you have a strong preference, please let me know. 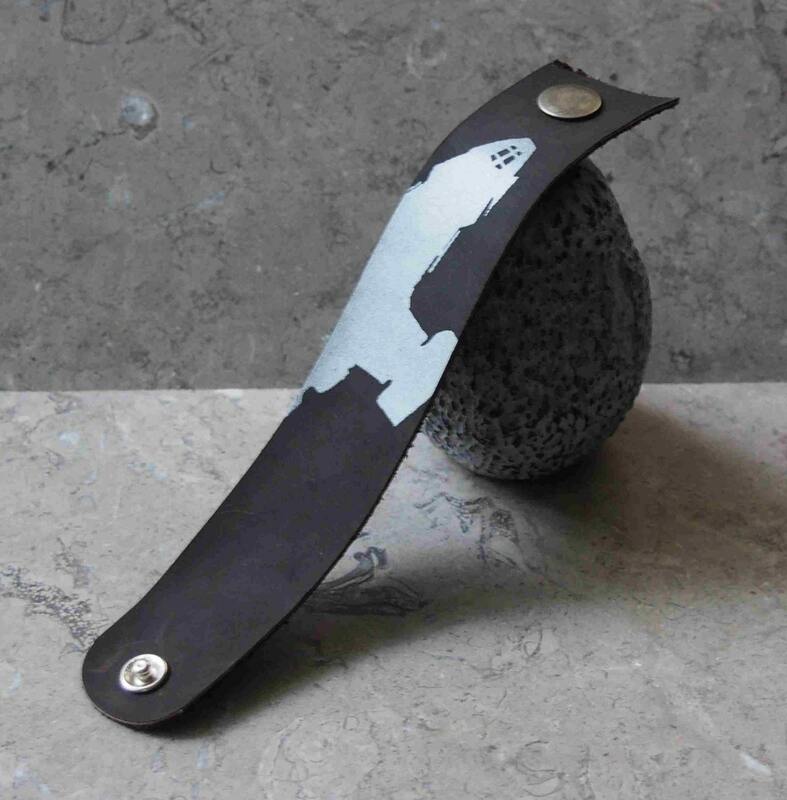 Nickel finish is shown, but black & antique brass are also available for the thick leathers. 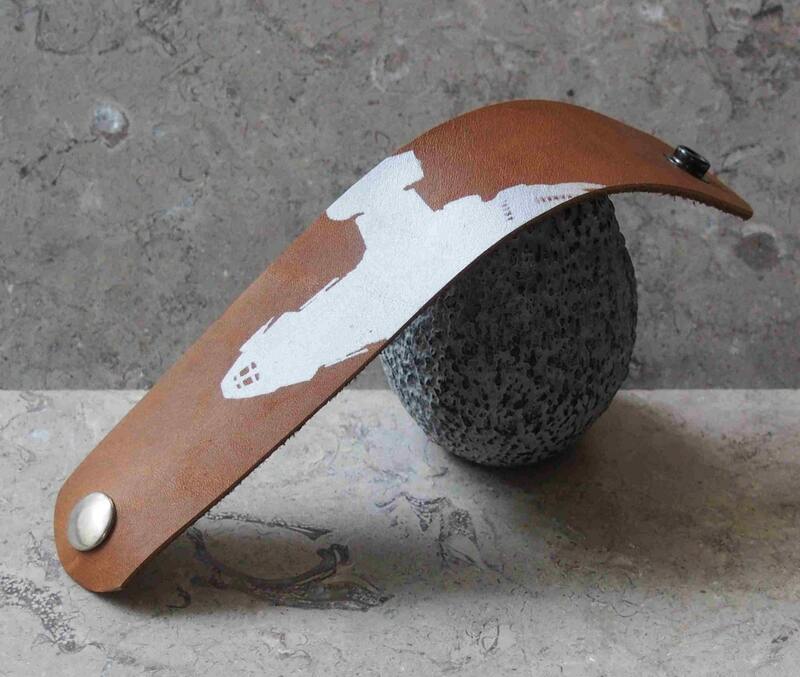 Thinner leather will have antique silver (as on the dark brown) or antique brass color snap. Shipping is based on USPS first class mail, but if you need something else arranged, please contact me before ordering, so I can provide you rate options.